In the early 1960s a pioneering group of medical educators, recruited from across the United States, undertook an audacious experiment. They came together to create a medical school in a state beset by endemic poverty and daunting geographic barriers. The school they created is celebrated for its innovations in medical education, and has earned a reputation for making diversity in the physician workforce a priority. Its programs in rural and family medicine are nationally recognized and its groundbreaking BA/MD Program has provided a new pathway for students from throughout New Mexico to pursue a medical career. In 1964, our founders had a view of the value a medical school could bring to our state. 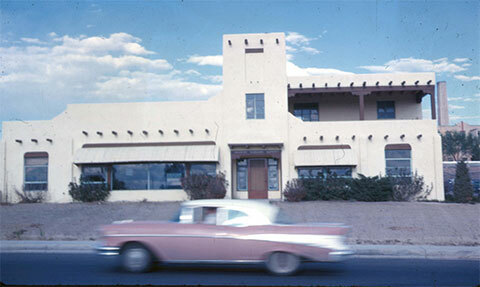 They understood that New Mexico's rich and vibrant cultures were invaluable assets to all. Their compact with the state was to provide a greater opportunity for New Mexicans to have a medical education, and at the same time, to help alleviate the severe shortage of medical care in much of the state. We have been very successful in making good on those promises. More than 40 percent of New Mexico's practicing physicians are graduates of our school and its residency programs. We continue to place special emphasis on admitting state residents. The state of New Mexico supports us with public funding, as it has from the beginning. As in the beginning, challenges to our mission, are ongoing. In addition to being educators and our research programs achieving national recognition, the School of Medicine has grown into being a major part of the health care infrastructure for the state of New Mexico, with programs in 141 communities. The UNM Health System provides comprehensive health services to central New Mexico and serves the entire state as the referral center for Level 1 Trauma and for many specialty adult and pediatric medical and surgical services. Excerpted from The Daily Practice of Compassion: A History of The University of New Mexico School of Medicine, Its People and Its Mission 1964-2014 by Dora Calott Wang, M.D., with Shannan L. Carter, J.D., and the University of New Mexico School of Medicine (UNM Press; 2014).